BAGHDAD – Prime Minister Haidar al-Abadi pledged to “achieve the well-being and reconstruction of Iraq,” while stressing that the country is about to rebuild all its areas. “The country is ahead of the reconstruction of all its regions and economic prosperity, and just as we have won the victory over terrorism, we will achieve the welfare and reconstruction of the country,” Abbadi said in a speech at the Iraqi police ceremony on the 96th anniversary of its establishment. 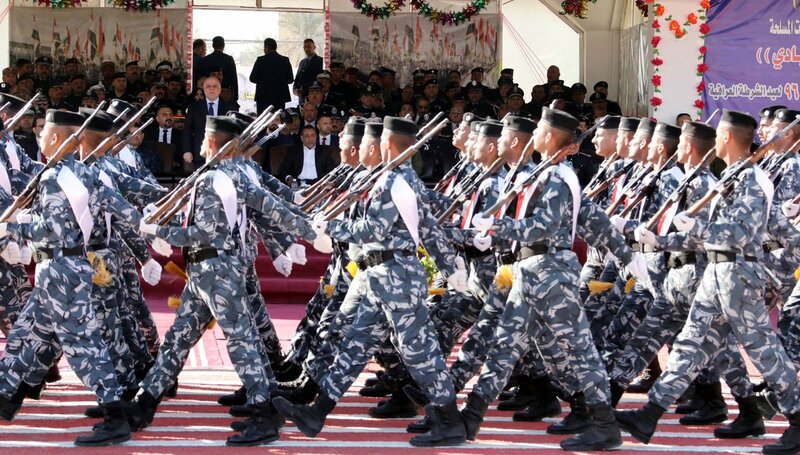 He stressed that “the sacrifices and heroism and the fight against the Ministry of the Interior along with the other formations are those who achieved victory and preserved the unity of Iraq,” blessed “heroes in the Interior Ministry Eid, which coincides with the great victories of the gangs terrorist. Shafaq News / The Cabinet held its regular session on Tuesday under the chairmanship of Haider Abadi, and during the session vote on the transfer of powers of the Ministry of Construction and Housing and Municipalities and Public Works to the provinces not organized in the province. The government statement said, that “in order to remove obstacles to the holding of elections in the specified time passed by the Council of Ministers, has held a lengthy discussion to remove those obstacles, where the Council voted to postpone the fulfillment of customs duties for the supplied materials to the Independent Electoral Commission. The face of the Council of Ministers to hold A meeting of ministers of electricity, education, agriculture and planning with the Council of the High Electoral Commission to discuss the facilitation of holding elections in the provinces of Anbar and Nineveh and to identify the problems and obstacles and find solutions to them. The Council of Ministers also decided that the Ministry of Displacement and Migration and the High Electoral Commission to coordinate for the purpose of giving (1000) caravan for the displaced to the registration centers in the schools of the Commission above. (Baghdad: al-Furat News) called the President of the National Alliance, Mr. Ammar al-Hakim, to abide by the constitutional timing of the elections. MP Samira al-Moussawi confirmed on Tuesday that the official newspaper published the revised amnesty law, “trampled” with a substance not voted by the deputies, explaining that this article allowed terrorists and criminal thugs to release them, she said. “Any person who deceives himself with the possibility of exploiting the Council of Representatives or the Supreme Council or the Supreme Court,” warned the deputy, according to the statement, warned that such delusions and fantasies might expose him to the people and to the concerned regional and international bodies, especially the World Parliaments Council. Shafaq News / Prime Minister Haider Abadi refused to postpone the adoption of the budget of the country in the Iraqi parliament. Abadi said in his weekly conference that delaying the approval of the budget aims to embarrass the government. He explained that the reasons for the delay were not convincing. Abadi touched on the elections in the country, stressing the date mid-May next. On salaries, he renewed his government’s commitment to hand over employees “no to parties” salaries. 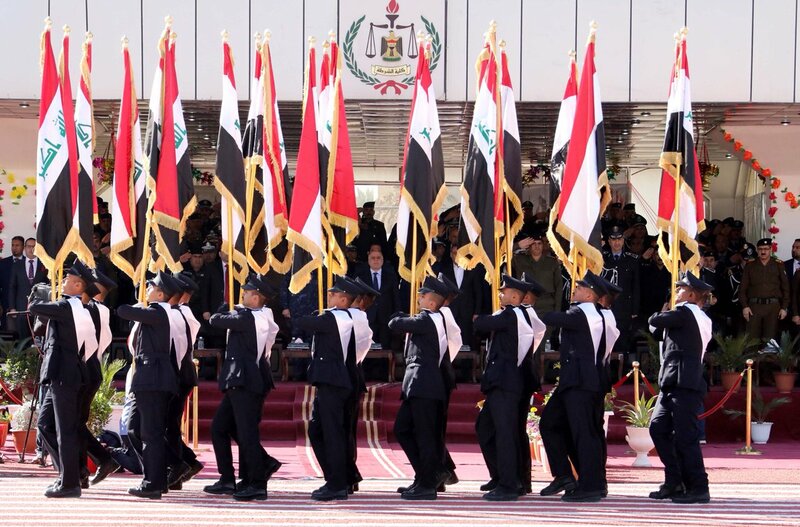 The pieces of the Ministry of the Interior to review the General Commander of the Armed Forces, Dr. Haider Abadi, the 96th anniversary of the establishment of the Iraqi police. Pieces of the Interior Ministry to review the armed forces Commander General Haydar Abadi 96 anniversary of the founding of the Iraqi police.